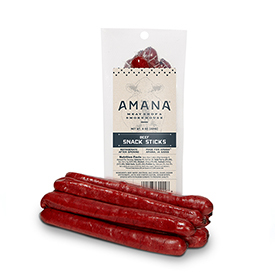 Select from our most popular summer sausages, beef snack sticks and famous beef jerky! 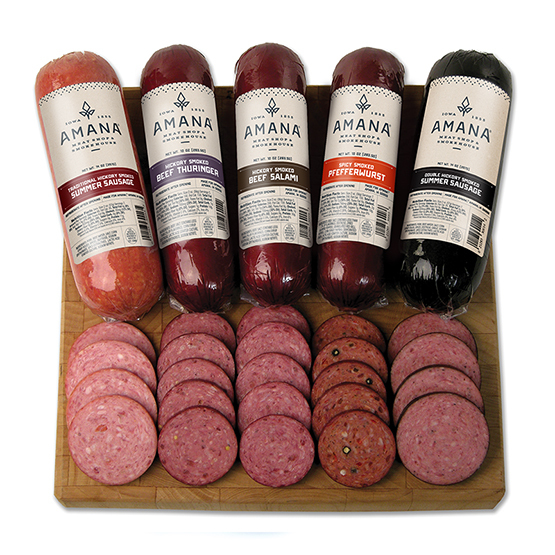 Our summer sausages make great gifts and are perfect for party platters! 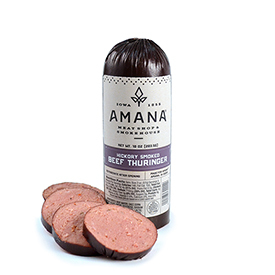 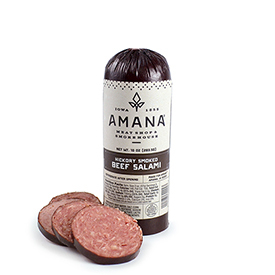 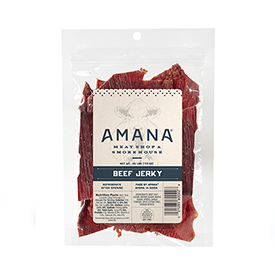 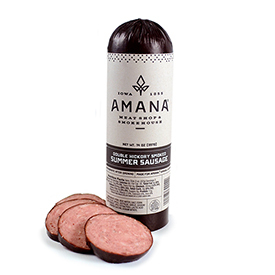 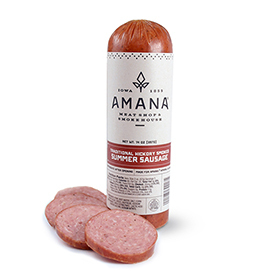 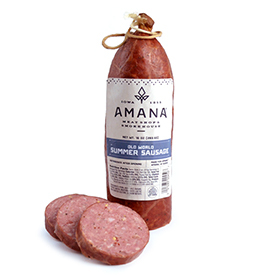 To order our other Amana smokehouse specialties including hams, bacon, steaks and chops, and premium gift boxes, visit AmanaMeatShop.com.